Kids are being bombarded with disasters on a regular basis. Whether it’s war, tornadoes, hurricanes, wildfires, terrorist bombings and now the earthquake in Haiti, it seems that there is always something horrific happening in the world. And, as you find it difficult to process what’s going on around us, imagine what your kids are experiencing. There is exposure everywhere…on TV, radio, newspapers, internet and in the classrooms. So, the question becomes: What do I tell my kids? Kids will react differently and harbor different concerns depending upon their own developmental stage, temperament and personality. Understanding your own kids’ mindset will help you decide how much to say and what to do. Obviously, different age kids will require different depths of information. Toddlers do not understand what’s going on. You may tend to project your feelings onto them and be concerned about their feelings. However, they are oblivious, unless they feel emotional cues from you. If mommy or daddy appears to be frightened, grief-stricken or overly-emotional, toddlers may temporarily appear that way as well, because you are upset. Preschoolers are able to understand the basics of what is occurring, yet don’t really have emotional connections to the events. Again, they tend to pick up your emotional cues. So, avoid displays of fear and grief in front of them, and they won’t feel any effect of the tragedy. School-aged kids do begin to understand and are more likely to be exposed to the events. They may become anxious, experiencing fears of personal safety. These youngsters want to know, “Can this happen here?” “What will happen to me?” Provide lots of reassurance. If you don’t live in an earthquake zone, the possibility can be easily negated. If, however, you do live in an area of earthquake possibility, explanations can be made about the preparedness of the city, the better construction of the buildings, etc. Don’t tell your kids that it can’t happen, if indeed, the possibility exists. Let them know how you are prepared, and discuss plans for evacuation, etc. •	Older kids may struggle with the spiritual and humanitarian issues, dealing with the loss of human life and the confusion of their God allowing this to happen. These kids need to be allowed to vent, and listened to…just listen. Allow them to have their feelings, even if it’s anger toward their God. It is fine to share your similar concerns, and discuss ways that you can be of service to the people in distress. First of all, remain calm. Remember your reactions will be signals to your kids. Take care of your own needs, so that you can be more available to tend to your kids’ needs. •	Keep news exposure to a minimum. While it’s tempting to stay transfixed to the TV, kids do not need to be bombarded with the gory details and horrific photos. This will help prevent emotional overload. However, don’t stick your head in the sand…kids are being exposed to the story almost everywhere. Give your kids current information in language they can understand to alleviate misinterpretations. Do not try to shelter younger kids; they are picking up information and/or sensing parental concerns. However, answer their questions without elaboration. Don’t overload them with information beyond their emotional level to process. Allow your kids to join in discussions and encourage questions and expressions of opinion. If they are watching TV or reading the news, help them process incoming information by discussing and “debriefing.” Ask questions and explore kids’ understanding and perspective. Attend not only to their questions, but also to their behavior. Kids cannot always identify their stressors or relate their behavior to a particular stressor. Be aware of any significant change in behavior or personality, increase in somatic complaints (headaches, stomachaches, etc. ), nervous habits, crying, nightmares, excessive clinging, etc. Anticipate some regressive or acting-out behaviors; do not be overly concerned or critical. Recognize them as possible signs of stress. Some kids may display younger behaviors such as thumb-sucking, bed-wetting, tantrums. Academic performance may suffer; withdrawal from social activities may be noted. Provide reassurance and unconditional love. Allay fears. Be sure kids know they are safe. Use visual aids (i.e.-globe, map) to convey the distance between your kids and the disaster. If there are family members away from home, be sure that their locations are noted, as well. •	Allow time for play. Play is one of the most important channels kids have for dealing with stress and mastering their anxieties. Taking the role of an aggressor increases their feelings of control over their world. Younger kids may also find it easier to express their feelings through drawings. Give your kids lots of physical affection. Allow them to be more dependent upon you during this time of stress. Kids need comfort and reassurance even more when stressed. Encourage your kids to get involved. Taking action can alleviate feelings of helplessness and anger. Participation can range from praying, sending care packages, donating money, clothes and toiletries to the Red Cross. Find out what your local religious institution or community is doing to help with the recovery and get involved. Seek professional help. If you see your kids becoming overly anxious, or behaviorally affected, and are at a loss as to how to deal with these issues, call your pediatrician or seek the services of a child psychologist. Could politics get any dirtier? For every parent that ever told their young children, “You can grow up to be President” we have a new reality – they can’t. This week the Supreme Court in a 5 – 4 landmark decision called a ban 0n restraint of free speech. The ruling by a sharply divided court lifted restrictions on what corporations and labor organizations may invest to sway voters in federal elections, meaning both groups now have the freedom to pour unlimited amounts of money into races for the Senate and the House of Representatives for all 50 states. This opens the door to corporate corruption and closes the door to Mr. Smith goes to Washington. Hopefully, when asked “What do you want to be when you grow up?” Johnny will have another career in mind. 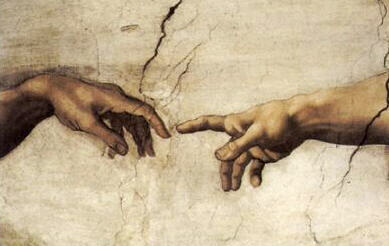 Hopefully, as Michelangelo suggests, we are all still learning. From a personal perspective this year, I learned an incredibly valuable lesson as I often do, from my children. That lesson was what we wish for our children may not be their wish. Though we want their good health and happiness; we need to realize that happiness has to be on their terms, not ours. From a professional standpoint, the past year brought a myriad of new ways to socially networking with old and new friends. Or did it? I think all the information overload and news, whether mundane or newsworthy gets lost in the sheer volume of it all. 1. If you send a holiday card to undisclosed recipients (and I’m on that list) I don’t feel all that special. 2. If I receive emails that require I pass it on to eight friends in the next ten minutes or terrible ills will come upon me, I am able to dismiss it and still make it to dinner. 3. And as important as your email message might be, whatever the subject, the bottom line is that nobody cares about your ‘stuff’ as much as you do. This is largely due to the fact that there is too much going on. For the New Year and new decade, I’m choosing to take a step back or perhaps sideways. Just as the holidays brought cards and pictures to my mailbox, which were more meaningful than email good wishes, the email newsletter you receive from me will come to your mailbox. Yes, I mean snail mail. We’re going to test this with a February newsletter on a topic you will really be interested in – raising socially conscious children. In order to receive this newsletter, please be certain that you are registered as a Parental Wisdom® member with a full and complete mailing address. •	If you have found the information from Parental Wisdom helpful, then be sure to send a note to your friends. Please note, see point 2 above and don’t warn them about terrible things happening to them if they choose not to join. They’ll be fine. This is one of a number of enhancements you’ll see this coming year. I look forward to our on-going conversations, and very soon you’ll see how we’ll be enhancing our ability to have real conversations as well. The very best to you and your family!